Are you looking for estate agents in Netherfield, Nottingham? Walton & Allen Estate Agents offer property valuations, sales, lettings and mortgage advice. Most properties which sold within the last year in Netherfield were terraced properties, at an average price of £99,377. Semi-detached property sold on average for £123,533 and detached house prices were around £132,500. The overall average house price in Netherfield over the last year was £104,854. This was lower in price than Colwick and Gedling. House prices are up 4% since 2007. Netherfield is situated around 3 miles from Nottingham city centre. The population was 7,398 in 2011. Netherfield has a large retail park with numerous restaurants, large shops and supermarket and petrol station. Netherfield has its own railway station although Carlton railway station is only 1 mile away. There are also numerous buses which operate between the town and city centre. Netherfield sits very close to the River Trent and a short drive away from Colwick Country Park. Recently we sold a property on York Street which sold within just 1 day! 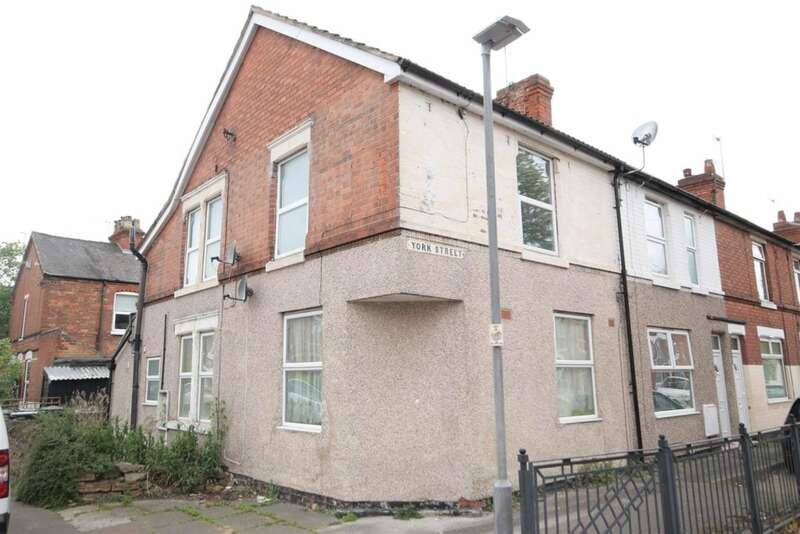 The property had two self-contained flats and was marketed with a guide price of £110,000-£120,000. The property was a freehold and situated very close to Victoria Retail Park. Are you looking for a free property valuation in Netherfield? We offer appointments either over the phone or in person to see how much your house is worth. Call Walton & Allen Estate Agents in 0115 9243304 or use the form below to request a valuation. For independent mortgage advice, contact Walton & Allen. We can compare the whole of the mortgage market to find one of the best deals for you, potentially saving you money. Use the form below to request a mortgage advice appointment with one of our mortgage brokers. Walton & Allen Estate Agents Nottingham provide property sales, lettings and mortgage advice.